11. Turkey legs You’ve had turkey legs at the county fair, the state fair and even the Renaissance faire! But there’s something about walking around the theme parks at Walt Disney World whilst holding a huge stick of meat! 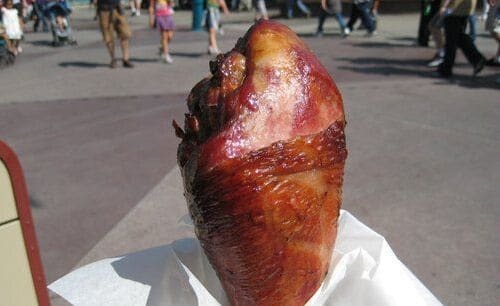 Not only do the Disney World turkey legs truly taste better than any turkey leg you’ve tried at home; they also add to the fun and magic of a day at Disney! They’re one of the iconic foods at Disney World with a huge cult following.